KUALA LUMPUR, 19 JANUARY 2019 – Quill City Mall Kuala Lumpur is welcoming the lunar new year with its floral theme, “Blooming Spring.” The mall has transformed its Main Atrium into a spring-blooming garden featuring colourful giant flowers and golden birds surrounding the decorations in a flying motion thus enhancing the atmosphere of Chinese New Year. Shoppers can anticipate the experience of spring in the mall this Chinese New Year from 15 January 2019 until 17 February 2019. Quill City Mall KL is initiating a new concept this Chinese New Year as we are the first to launch “Scan & Huat!” which incorporates QR code to the mall’s ang pow redemptions and contests. Shoppers are required to hunt for special QR codes at the Main Atrium, Ground Floor in Quill City Mall KL as prosperous rewards await shoppers. Shoppers can stand a chance to win GINTELL DeVano SL ROSEmantic Massage Sofa worth RM9,988, an exquisite Travis Hegel luggage bag, vouchers from Hamleys, NEXT, Quill Automobiles, The Manhattan FISH MARKET, The Chicken Rice Shop, DubuYo, Pancake House, Photobook Malaysia, BOFT, Mr. D.I.Y., Juice Works, Glow & Glamour and many more. Terms & conditions apply. “This year, the mall’s Chinese New Year campaign, ‘Blooming Spring’ commences from 15 January 2019 until 17 February 2019 in Quill City Mall KL. We sincerely invite all shoppers to spend time with their friends and family in Quill City Mall KL during this year’s Chinese New Year celebrations, as well as indulge in a shopping spree and explore wondrous array of festive delights and products," said Dato' Ar. Michael Ong, Group Executive Director of Quill Group of Companies. 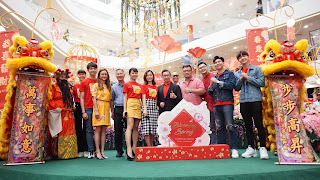 During the Chinese New Year campaign this year, on 19 January 2019, the 8TV CNY thematic campaign “CNY So Happy” took place at the mall to welcome a joyful new year together with shoppers. The “8TV CNY So Happy Mobile Truck” made its way to Quill City Mall KL to celebrate this coming Chinese New Year with our shoppers. Shoppers enjoyed a day of fun and games with 8TV celebrities and your favourite artistes such as Jordan Sen, Emily Chan, Natalie Ng, Haoren, Gary Yap, Wind Lee and Lynn Lim. Also, shoppers made this event even more memorable by joining the “CNY So Happy TikTok” contest. All they needed to do was just swing by the “So Happy Mobile Truck” to record their TikTok video with a special message to their loved ones. In addition, shoppers were able to enjoy Chinese New Year songs singing performance by all the artistes. A meet and greet session will be held in the mall on 26 January 2019 at 7:00pm for fans to meet and take photos with Chau Pakho, better known as Pakho Chau who is a Hong Kong Cantopop singer and songwriter in conjunction with the PAKHO One Step Closer Live In Malaysia concert which is due to be held the following month on 23 February 2019 at Arena of Stars, Genting Highlands. The meet and greet will feature an autograph session, poster redemption and games session. Fans who purchased the concert tickets prior to Pakho Chau’s meet and greet and on the day of the meet and greet, will be able to go up on stage to obtain exclusive signature from Pakho. Fans can also play games with Pakho Chau during the games session and get up-close with the famous singer. In addition, a ticketing counter will be set up at 12pm for fans to purchase tickets and redeem the poster on a first-come, first-served basis on 26 January 2019. 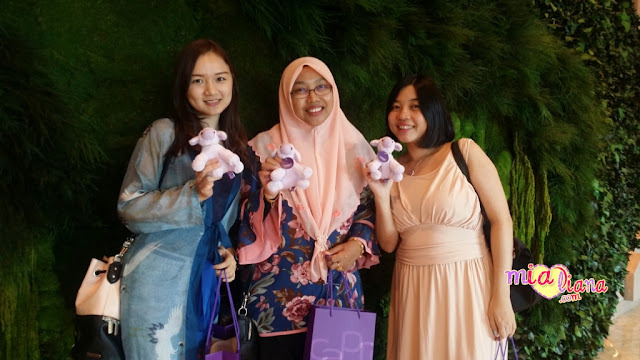 A grand launch of “Blooming Spring” was held on 19 January 2019 at 1:00pm, in presence was Dato' Ar. Michael Ong, Group Executive Director of Quill Group of Companies and 8TV celebrities. Customers and fans took pictures with their favourite artist and enjoy an early start to the New Year’s festive season at Quill City Mall KL. iii. Show your shared post to our Concierge Personnel to be eligible for ONE (1) entry.